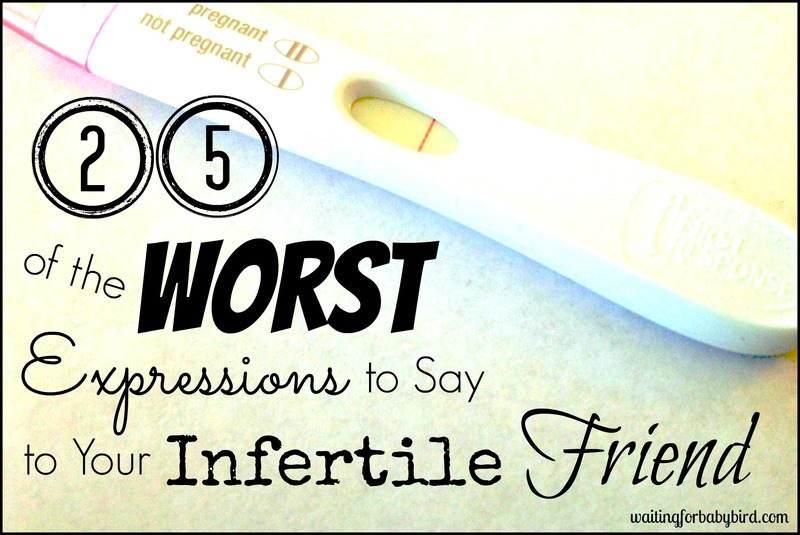 Infertility is no joke, and it’s something that many men are too embarrassed, or anxious to talk about. 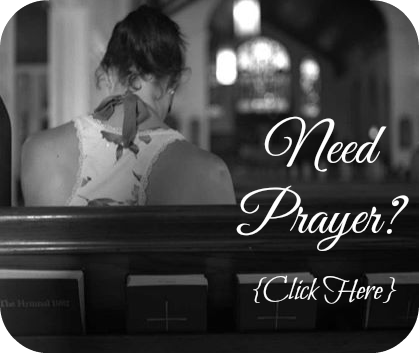 However today I have someone who is willing to share his personal story that discusses the feelings of stress, sexual inadequacy, and loss of masculinity that can come with such a diagnosis. It’s not only powerful, but also informational as he offers insightful suggestions to help combat the issues surrounding it. So without further ado, here is his tale of infertility. Men are as likely to experience issues surrounding infertility just as much as women. This is a fact that I wish I had known five years ago, when my wife and I started trying to conceive. Not that I had ever really studied infertility statistics, but any passing information I could ever recall hearing or seeing was in regards to women. This subconsciously lead to me wrongly assuming that infertility was largely a women’s issue, and that it was something I’d never have to worry about. 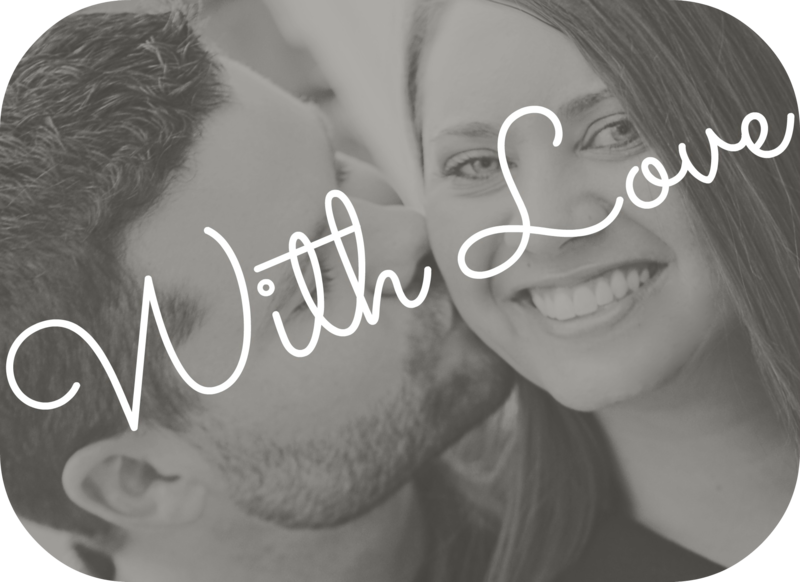 My wife and I had been married for four years when we decided we were ready to start a family. I had heard plenty of stories of my friends getting pregnant sooner than they’d expected, and how shocking it was for them. So I had a similar expectation in my head. But that is not how things turned out. Weeks turned into months, which turned into years, which turned into doctors visits, testing, and fertility clinics. Tests showed I had a lower than average sperm count. The doctor said the numbers weren’t so troubling as to indicate that I was solely responsible for our troubles; but come on, her numbers are perfect and I’m “lower than average”? I can do the math. While I was given plenty of advice, pamphlets, and prescriptions to help my physical situation, the doctor said nothing to me about addressing the mental and emotional turmoil I was putting myself through, which I found much more difficult to deal with. My wife was made to be a mother. It’s something she has wanted her entire life. Something we had talked and dreamed about at length before we started trying. Now the time had finally come and the one thing standing in her way… was me. My wife and I have a great marriage, but nothing in the world could convince me that she wasn’t holding me at fault for destroying her dream of starting a family. I was certain that at any moment she was going to unload on me. Resent me. Leave me for someone who could give her the child she dreamed of. I spent weeks dealing with the anxiety of this attack that, to me, was inevitable. But it never came. Men have a tendency to feel like they need to immediately solve any problem, but it can be different when you find out you are the problem. It turned out I was so preoccupied with the thought of my wife blaming me that I didn’t realize I was already blaming myself. I felt guilty and embarrassed to the point where I was too ashamed to talk to her about it. All the while telling myself that I should be scared of her reaction, making it her problem, and not owning the issue for myself. While I can’t say we didn’t have some tense moments, overall she remained supportive and was able to acknowledge and disregard any creeping feelings of resentment. We spoke about our feelings at length, acknowledging all the anger and frustration we each had towards the situation. Having a conversation like this is not easy, and I can imagine that for some couples, it may seem like an impossibility. If this is the case for you and your partner, I would highly recommend seeking the help of a counselor. It’s important that you both feel heard and understood, so that you’re able to be there for each other without finger-pointing. Having fertility called into question can feel like a huge blow to a man’s sense of masculinity. I’ve never put too much stock in society’s idea of what a “real man” is; nonetheless, my low sperm count and all it entailed was enough to make me feel like I wasn’t measuring up. Feelings of failure, doubt, anxiety, and the pressure to “fix” myself all mixed together resulted in two words no man ever wants to hear: erectile dysfunction (ED). ED may be a male problem, but it affects our partners as well. After the first couple instances, it was hard for my wife not to think she was partly to blame. “Am I not attractive enough?”, “Do you still love me?” These questions were understandable, but they also put additional pressure on me to solve the problem. Considering that our relationship was already experiencing conception stress, I didn’t want this to be another thing for us to worry about. So I took the necessary steps. I found out that there are a number of men’s health brands that offer erectile dysfunction solutions online, which worked great and had zero unwanted side-effects. And just so you know, erectile dysfunction is much more common than you think. 25% of new ED cases are men under the age of 40. So don’t be ashamed – you’re not alone. There is a lot of pressure in today’s world for men to live up to a certain idea of “manliness”. Regardless of how much you buy into that idea, importance of virility is instinctual. An infertility diagnosis challenges that virility, and creates the aforementioned feelings of failure, guilt, and embarrassment. And we all know how much men love talking about their feelings, right? This creates a stigma surrounding male infertility that prevents an open and honest dialog from taking place. 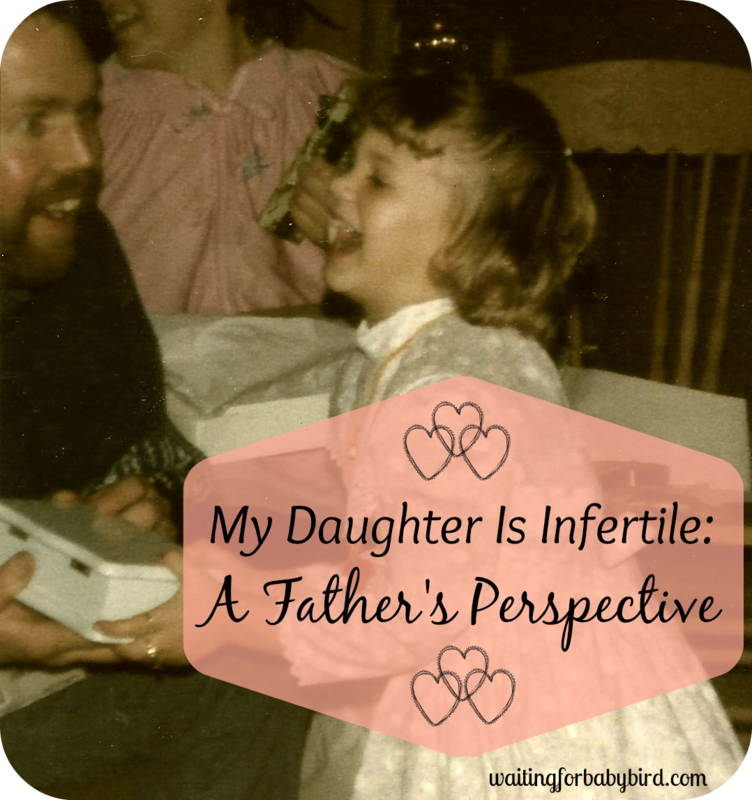 As I said before, I had always thought that infertility affected more women than men. 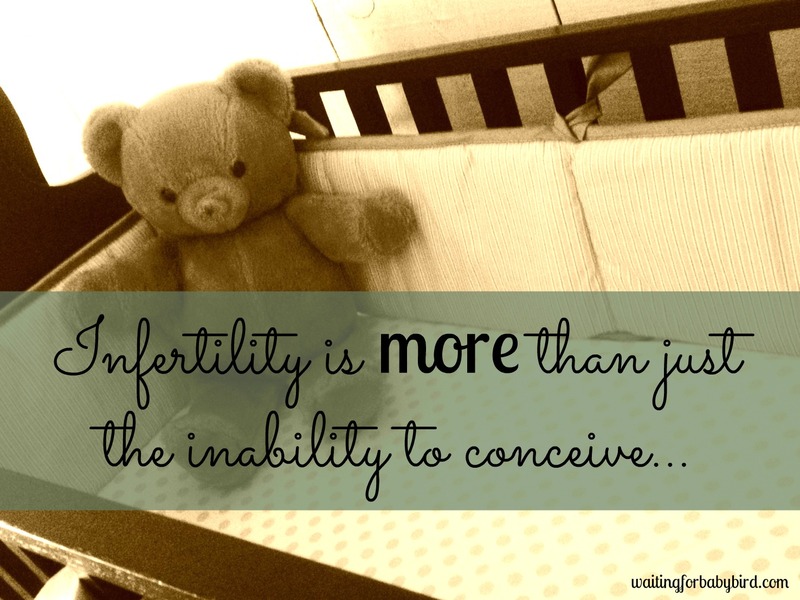 In fact, only one-third of infertility cases can be contributed solely to female factors. One-third can be contributed to men, with the remainder made by a combination of dual factors, and the ever-enraging “unexplained” diagnosis. If more men were aware of these statistics then maybe we could get a conversation started that will help destroy the stigma and help men and women get the support they need to navigate their infertility battle. 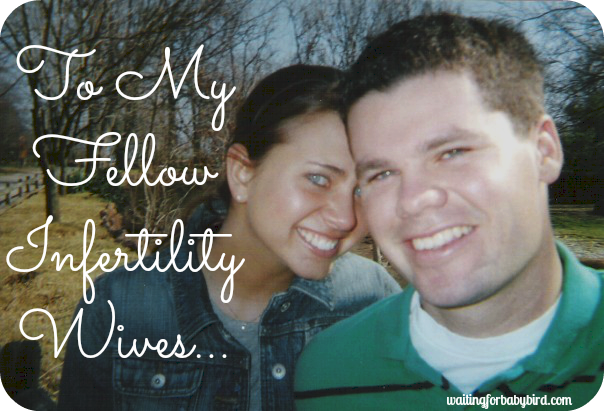 Our journey through infertility was the hardest thing we’ve ever had to face as a couple. There were times when we thought it may not be worth it; times when we wanted to quit. But we held onto our faith and kept moving forward. This fall my son will turn two years old. And I wouldn’t change a thing. 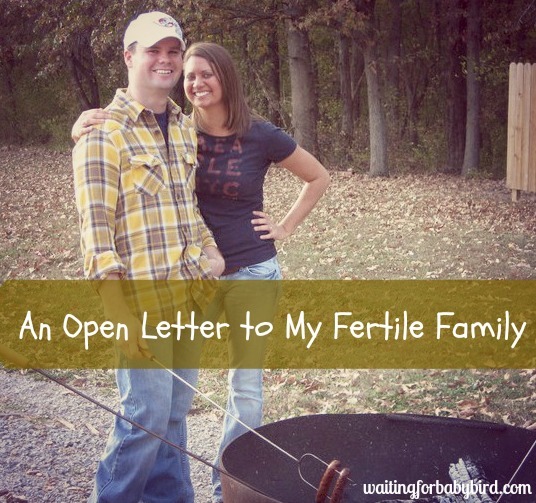 To read more about a male’s perspective regarding infertility, check out the following articles. Thank you so much for sharing this piece. He’s so right about how many ways it impacts us as men. I went through a lot of what he discusses. The only part that bothered me was the “never give up” at the end. Yes, he ended up becoming a dad but not everyone does and it’s not a matter of giving up. Unintentionally he is saying that those of us who don’t end up becoming parents gave up. Thank you so much for sharing your experience as well. I always love hearimg from those who are also in this fight or have been. I believe everyone has differing opinions on the “never give up” attitude and mindset. I personally will never give up placing my hope and faith in a miracle unless I feel God calling me to let go. I often joke around that I will be in my 80s still looking around the corner for a miracle if needed. Lol! Afterall, anything is possible and there are sooo many avenues a person can take to fulfill their dreams. I dont think he meant any harm by his words…its all a personal preference and he is just sharing his own personal encouragement. I just believe those who end up becoming parents need to be mindful that everyone’s circumstances are different. In a lot of cases it’s not a matter of not trying or giving up but that they don’t have the same options available to them. Not everyone will have the ability to become a parent. I understand completely. And I am not here to debate or argue but the truth is: if I censored everything I wrote or published to be mindful of everyone’s circumstances or situations or beliefs, nothing could be said. It was meant to be encouraging and for some, it is. I tell people all of the time not to give up on their God-given dreams because I truly believe that if it is God-given, then one way or another He will be faithful to fulfill (it just might not come like we thought or in the time frame we had planned). Like i said, its a personal opinion, and if something is said or written and it doesn’t apply, then let it fly. If it doesn’t bring hope or encouragement to someone reading it, I get that, but at the same token, it might just be what another person needs to hear or read that day. It can go both ways. 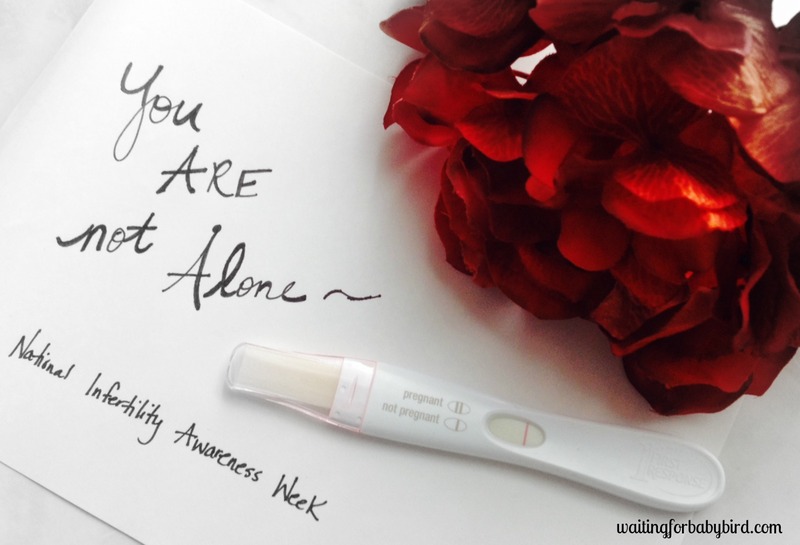 Thank you for sharing the make voice in infertility. We are dealing with male factor and have only recently started speaking openly about it – it has blown my mind how often people presume that the “issue” is with the female and that all the anguish is with her too. It’s a shared grief and it’s good to understand how this feels for men as they so frequently will choose not to share their feelings. Thank you.